The Traditional Glass Gallery Bathroom Shelf from the Downton Abbey Collection, ideal for creating a period look in your bathroom. Manufactured from durable chrome plated brass and glass. 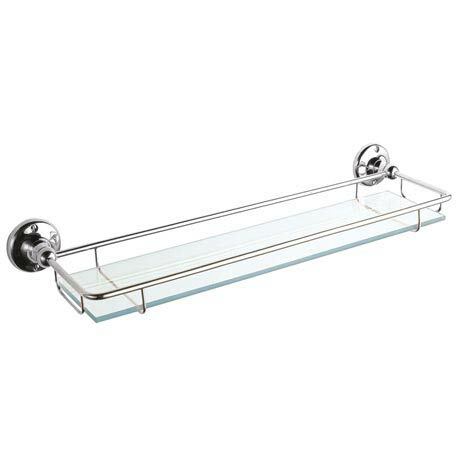 Add the finishing touch to your traditional bathroom with this high-quality shelf.